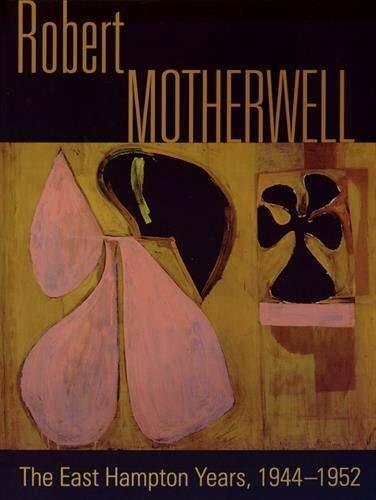 ·First book entirely dedicated to Motherwell's early career. Motherwell himself fondly remembered his East Hampton years and declared, "I did some of the best work of my life there"
Robert Motherwell is a monograph to this pioneering Abstract Expressionist, who enjoyed early recognition. At 29 years, he had his first solo show at Peggy Guggenheim's legendary gallery (1944). A year later he moved to East Hampton, New York and commissioned a house from French architect Pierre Chareau. None of the exhibitions dedicated to Motherwell have focused on this period and on the place where he came of age as an artist. He produced paintings, collages, and drawings that brought abstraction into the lingua franca of art created on the American side of the Atlantic. Motherwell possessed a Minimalist sensibility and many of his finest works from this period have only a few colors and shapes. About his Wall Painting with Stripes of 1944, for example, he explained "I'm not interested in painting the embellishments of reality, but in finding a direct, intense single sense of oneness with it." This catalog explores how Motherwell used Surrealist techniques to make his abstractions and uncovers the influence of Picasso and Matisse on his early work. Phyllis Tuchman is a New York based art critic. She has curated exhibitions throughout the United States and in Latin America, Europe and Japan. Her writings include many contributions to catalogues, articles for art magazines and journals and a book on George Segal. She has been vice president and president of the American section of the International Association of Art Critics.